Update 2/11/12 2:37am MT - Happy Birthday NOTL! 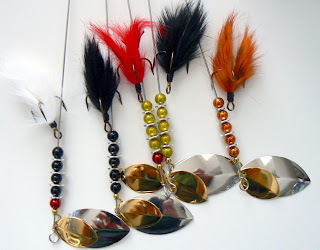 Next drawing February Customer Appreciation Spring Muskie Spinners! Based on the prize criteria that put us at 2 winners that each get 4 spinners. Here's the entry Stack Sequence. I removed my entries and tagged the two winners. As you'll see, 1 blogger and 1 FE angler won the drawing. I'll be in touch to get your mailing information. Congrats to the winners. The next drawing is a customer appreciation drawing that will start on 2/15 through the end of the month. If you're an online customer by 2/15, expect an email invitation to enter. For the runner ups and winners, here's an active 20% discount code - good thru Valentines Day - Pink214. If you're interested in entering the next drawing and aren't a current online customer, you still have thru Feb 14th to make an order, just sayin! Time to launch the Fish Creek Spinners monthly Spinner giveaway drawing for 2012 and celebrate the Blog's first birthday! Drawing to be held 2/11/12 on the anniversary of my first post! You've got thru 2/10/12 to signup for this one. 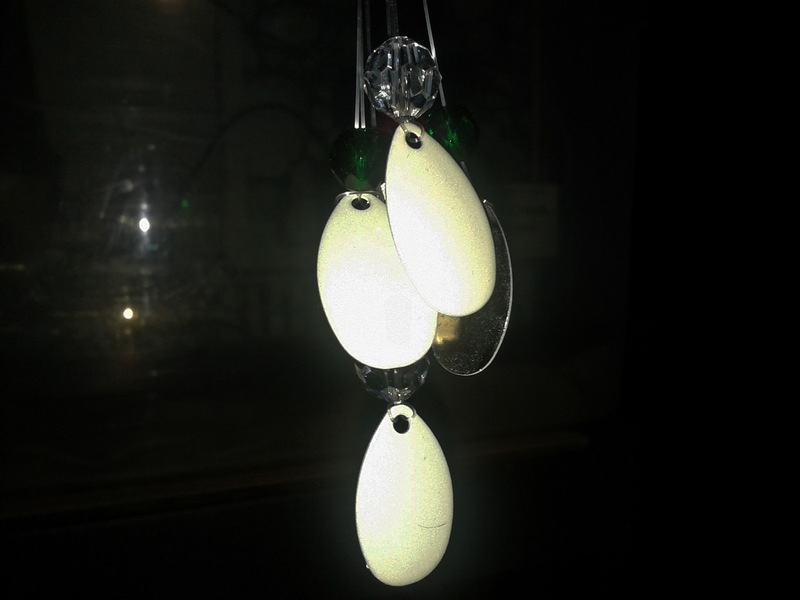 Depending on participation, this celebration can get 10 winning anglers - up to a dozen free spinners in their mailbox. Those are the drawing's spinner candidates. 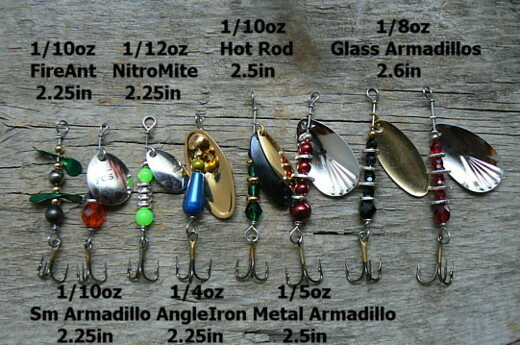 Depending on the number of contestants, you could win the leftmost top three (single winner) or you and nine other anglers could get a set of all of them (ten winners). Comment to enter now or Read-on to find the Devil in the Details. Enter as many times as you want - you cast more, you catch more fish. I'll count up to 5 entries per angler. If you're feeling lucky - Spread the word. 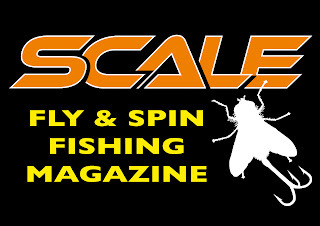 More anglers in drawing = more winners and more spinners for you. After reaching 24 anglers, each time the number of 'anglers' in the drawing exceeds the next multiple of twelve, another winner and spinner is added to the drawing. The more anglers that enter, the more winners and spinners in each winning set - up to twelve spinners for 10 winning anglers. Notice the 'different' clause in the distribution below. Drawings are just more fun - for me - with more participation. To enter just click the blog title and then enter a comment to the Comments section at the bottom of the post. Each comment you enter (that includes unique identifying info) becomes an entry number in the 2/11/12 drawing. Each comment increases your odds of Random.org choosing one of your numbered entries. 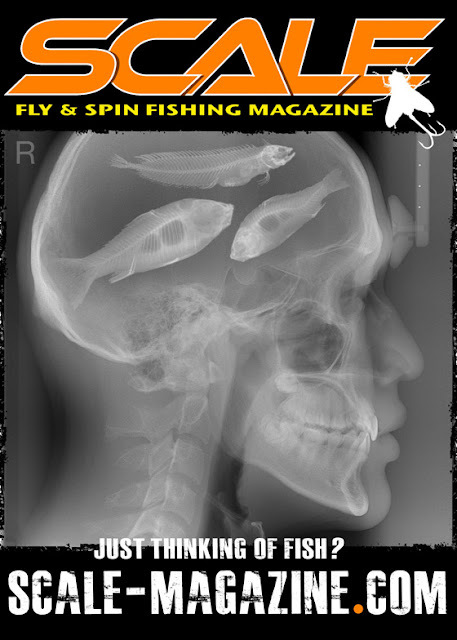 Some anglers choose identifying information when they comment, others use Anonymous. Anonymous entries - A lot of anglers enter comments using 'Anonymous'. If you're one of this crew, you'll need to provide some form of unique data in your comments to be sure I track your entries accurately. I need to be able to differentiate and compile comments by person before winners get drawn, so add something unique that lets me keep comments sorted and tracked. This also lets me contact you if you win. e.g. eventually I need to collect mailing information in order to mail the winning anglers their spinners. 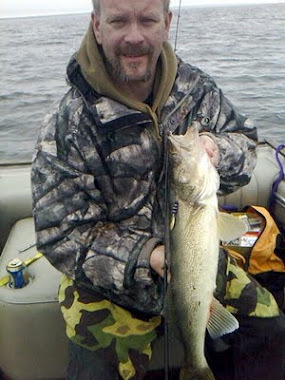 Some anglers use forum & ID, blogger IDs, Google IDs. A type and ID should do it. Spammers parse blogs looking for and collecting email addresses, in order to send you junk emails (you should see the comments sent to the blog). Although posting an email works for our purpose, you may want to avoid it. I'll use the Random.org website to pick the winners. But due to the opportunity for multiple entries per angler - plus the lucky nature of certain anglers (not naming names!). It's possible that I'll have to provide a level of oversight - in the spirit of fairness. Assuming 'excellent' participation and Random.org picks a couple of your comment entry numbers, You win your first one, but you're 'over the limit' on any others and I'll pick the next non-winner in sequence to receive them - your new best friend forever. The results matrix will show any of these situations if they happen. February's drawing will be a Customer appreciation drawing. If you're not an FCS customer, there's still time - think about it! Whew, Happy New Year - Let's get this boat in the water! I put a couple of these German guys in my Google+ circles after I got a look at one of their 'zine covers in my 'Stream' during my early days on the Google+ Social scene. (love that place!). Here's the first of several cover images that blew me away. Something about that cover snuck up on me and sure grabbed my thoughts and attention. Who are these guys? There was just something about it that I identified with. See that TrebleFly logo? Creativity in it's finest form. I've subscribed, it's quarterly. Next publication is March 1st, 2012. Incredible photography, art imagery, international fishing adventures, fish pinups, giveaways, screamin user interface, you name it. I strongly recommend you subscribe and take a look! I was lucky enough to win a logo T-shirt (the TrebleFly logo) in one of last summer's contests. Stay tuned for pictures! Oh yeah, here's a link - Scale Magazine you may have to update Adobe, but its worth the experience. 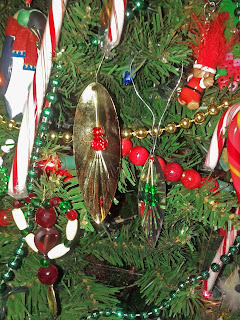 Since my holiday shopping's complete and all the gifts are wrapped, I had some time to reflect on this year's stats and compile this post on spinner performance based on angler feedback from calls, emails, and pictures. 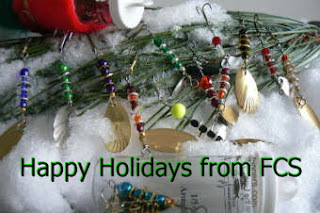 Each year, certain Fish Creek Spinners are responsible for more customer feedback then others. Each weight class or category is represented; Large, Medium and Ultralite. All the spinners get results, these just stood out. I put a link above each spinner to it's Web store model detail. The detail shows other color choices and for most spinners - the underwater hydrophone recording of the spinner. They're interesting, IMO, check them out. Sorry, no Hula spinner recordings yet. Starting with the Fish Creek Spinners Large Category, large spinners and larger fish species. This Green and Gold model wins MVP this year. Green transparent powder coat over nickel beads for a translucent glow. Gold friction discs and a Gold Super Willow blade. Hook Choices available. It's 4 inches in length. These 1/3oz Metal Armadillo's have been around for three years and they're finally getting noticed. Popular in Montana for large Trout and Washington for Salmon. Although there weren't a lot of sales on the Skirted Hula Spinners, this one performed best in terms of feedback. Two 40+in Tiger Muskies hit this double Colorado bladed black spinner with a black silicon skirt. The winner this year weighs 1oz - two #7 nickel Colorado blades - black faceted glass and powder coated black nickel bullet body separated by friction discs - black Silicon Starflash Skirt - Stacked #1/0 treble rides low in the skirt. Here's some fish pictures from the large category spinners. 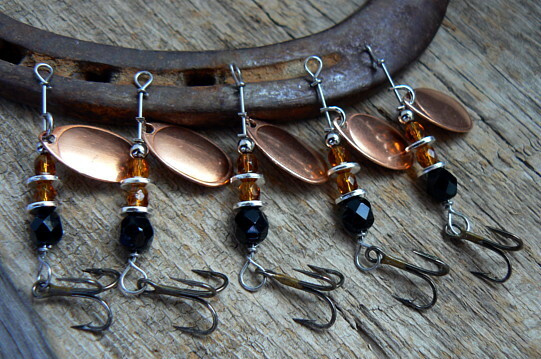 In the Medium weight category, my current favorite 'go to' trout fishing spinner (and I have a lot to choose from) is this 1/8oz Black and Gold Glass Armadillo. 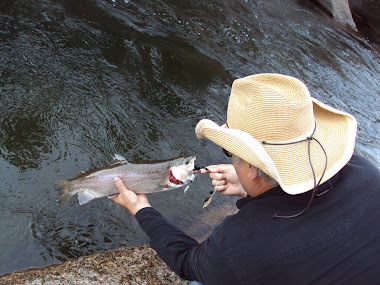 I fish mostly stream, river and wilderness ponds. Ben's in all waters and it's a 'must' for both. Anglers across the country agree. I strongly recommend it this MVP. The next spinner reaching notoriety is a 1/5oz Metal Armadillo. 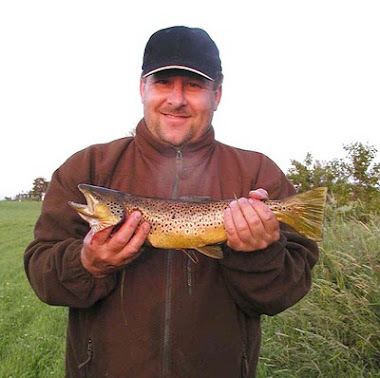 The smaller brother of the 1/3oz, it's been recognized in Denmark catching sea run trout and also in Colorado rivers on bigger Brown and Rainbow trout. Transparent Powder coated nickel beads with gold friction disc and a #4 Ridged Indiana blade. Noisy spinner, all the colors are producing. 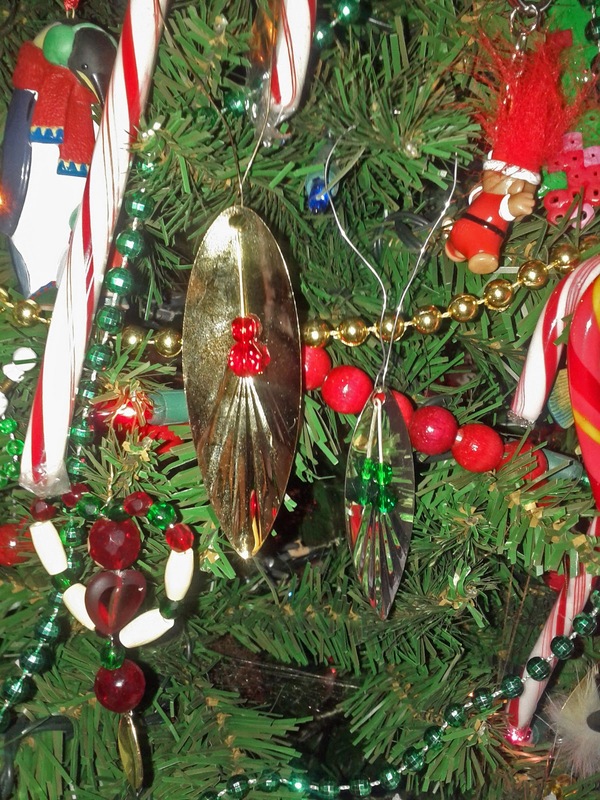 Here's a slideshow from the Medium Category spinners. 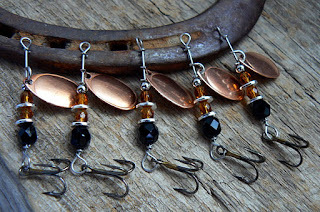 In the small spinners category, the nitromite keeps coming back year to year as a favorite for stream fishermen. This year it moved into lakes for Crappie as well. It's being requested by retailers based on their angler demand. The MVP is Gold and Fluorescent Green. Weighs 1/12oz. Small but attractive! Finally, the double blade Hot Rod is back again. This one in Red and Orange faceted glass separated by gold metal beads. The double blades on this one are a #1 gold willow and a #3 black Swing blade. 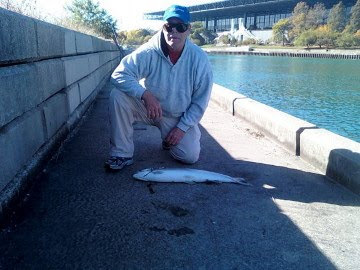 Here's the slideshow of fish caught on the ultralite spinners. Always the optimist, it was a good year. We entered new species markets with a splash, got in a sales trip to Wisconsin and Michigan, gave away a lot of spinners through contests, and are still having fun! 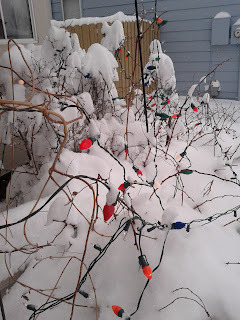 This blog is in it's tenth month and based on interest and traffic, across the world, we'll keep posting information about our journey and be here next year. Stop by and don't be afraid to comment, you might just influence a product design or get your own, like T!. Tell your friends and fishing buddies about us - Noise on the Line! I've struggled with taking a decent picture of multiple spinners for years. The most fundamental and closest to home observation I've had, is that it's tough for 'me' to get a good picture of 'one' spinner, lol, maybe this is a liveware personal problem! "Yep, it's tough to get a good picture of more then one spinner". If you check Google Images with a "fishing spinners" search, you'll see the state of the union. Trying to figure out placement and not ending up with colorful "barf on a board" is a challenge. Blades go 'WHERE Ever', hooks go 'WHERE Ever', and components, well they just tilt and separate. The death of a thousand cuts - you finally just cross your fingers, hit the elapsed timer and count it out. Then back at the ranch, doing photo preps and edit, you notice you committed the 'cardinal crime' of spinner photography - massive fingerprint on the highly reflective small gold Indiana blade. Here's some of my image handiwork on the wall of shame. This phase helped alignment, but introduced the self-portrait in a blade problem. Quickly moving to the 'Random White Imbalance' phase - both textured and smooth! Random was easier, but a component misalignment nightmare. White Imbalance, well that just makes me blue.. Need another one on Smooth? and yet another example - better lighting here. This one was a real Frankenstein! See what I mean! The elusive 'Assortment Portrait Problem' persists. It's new, so I'm yet to decide on its name. I may call it the 'Marble Corral' (textured base) provides friction and helps with hook angles. It could also be 'Spinners in Stanchions', using tools to align components. Anyways, it uses organization and symmetry (table rows and columns) on a textured white base. Each spinners unique temperament is established by it's individual stance and balance - that cute 'alligator clip assisted' casual lean. LOL! Here's an 'artsy' yet confusing modification of that theme, using image rotation. The quest - it continues! Feel free to comment if you see something that has an appeal. Just finished out early production on the 1/4oz Glass Armadillo's. Had about 5 colors out for testing. Now we'll have more choices. These are the biggest glass Armadillos so far at 1/4oz and 4inches in length. I've been calling them the Steelhead Armadillo's. Their metal cousin has been doing great on larger Salmon. Few of my favorites. Check out the reflection on the undersides of these #5 Ridged Indiana Blades! 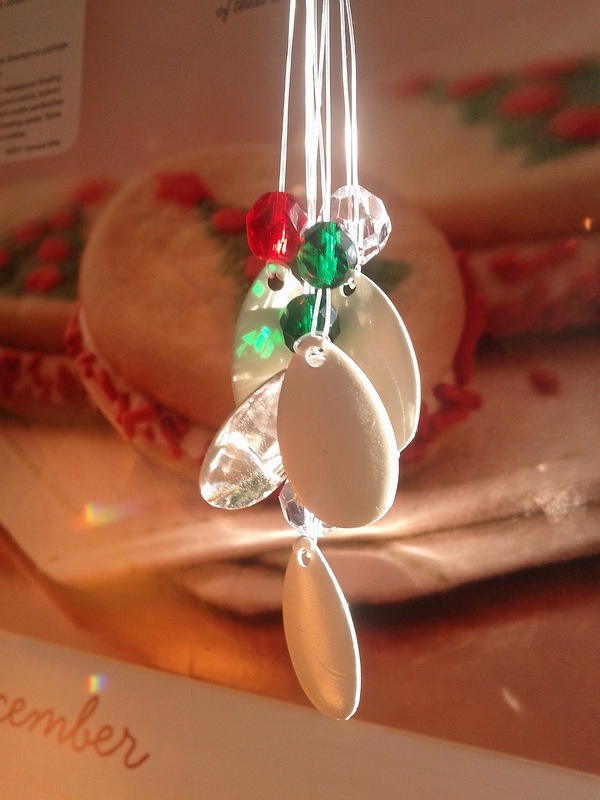 Once that blade starts spinning, so do the faceted glass beads. Spinners are resting on a piece of Colorado Marble I found hidding in the bushes while visiting the Mine in Marble Colorado. Same mine's marble that's in the Lincoln Memorial and other Washington D.C. monuments (per the mine information podium). Just finished launching a new 1/2oz spinner in the web store. 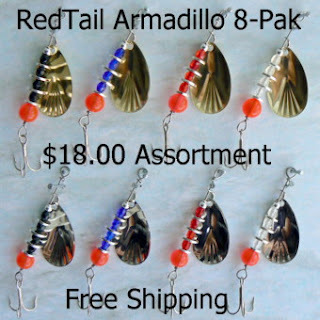 It weighs 1/2oz - comes in 12 colors - and can be purchased without a hook! Many anglers fish waters where hook restrictions vary by body of water. 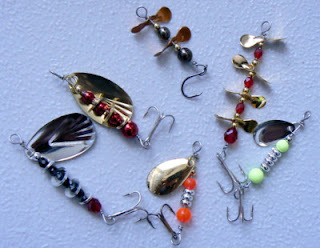 You can choose the #4 treble hook, a split ring, or a duo lock swivel to be attached to the spinners wire. The double Super Willows are sweet blades. A #4 Gold rides tandem above a #5 Nickel blade. Noisy and lots of strobe. The top friction disc collides with the blade which results in wobble and clacking noise against the faceted glass beads. 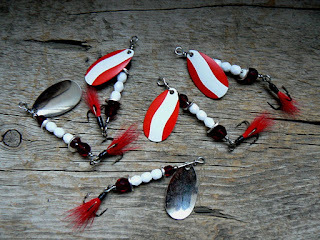 When hooked, the spinner is over 4 inches long. 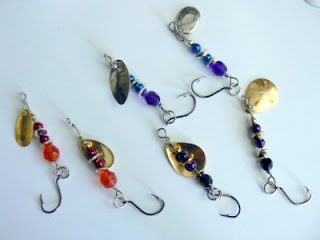 Here's a Picasa slideshow of the color selections and some of the Salmon that went for the prototypes. Check them out in the Fish Creek Spinners web store! First I had to have an idea of what I wanted to change. That was easy, just about any customer facing page could be argued. Then how to change it would be more difficult. There, I had some targets. Other changes would show up once I started moving things around and digging into the manuals. The Product List Page - this is the page that shows up when a category is punched on the Store Front or when some savvy user does a Product Search. It's display shows a vertical list of the thumbnails in the category or a list of the customers Search hits. The Product Detail page - this is the page where 'Add to Cart' happens. Either for Assortments, individual spinners or Model color selections. Most models have many color variations. So that's what I wanted to change, now, how'm I gonna do that? Tear it all apart and then look for missing quotes, semi-colons, brackets and mis-cased letters, lol. Here's what it ended up looking like. Ended up a condensed table of the product models with links to each Detail Page. A mouseover= event on each image enlarges the model image spinner over on the right and another shows a picture of a fish caught on the model. Try it out, its fun! If someone still needs to use the categories to get around here's the Product List After screenshot of the Medium category. I used a popup function (Window.Open) to enlarge each model, using a mouseover= event to trigger it and a mouseout= event to close each opened window. 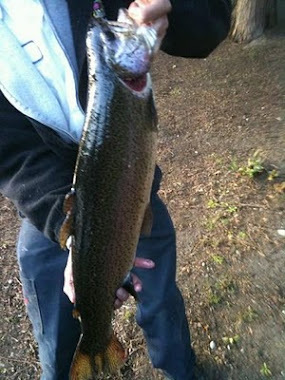 I used Picasa to create a slideshow of fish pictures sent to me by anglers using the 'Free Spinners for Fish pics' offer. Accurate for at least the photo's that I found with spinners in the picture. That's what plays on the bottom. This one uses mouseover= to display fish caught on specific spinner colors within the model. 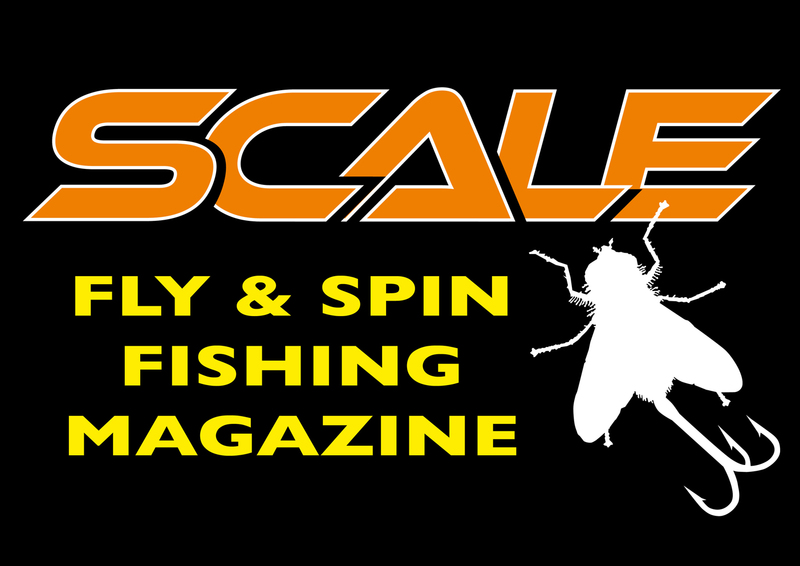 There is also a default page or two displaying order placement tips and spinners hoping to catch a visiting angler's attention with quips and imagination. The bottom of the page has a flash movie of the models hydrophone recording and a screenshot of its noise wave profile. Fun Stuff. Stop by and give it a test drive. Since its hot off the press, I'd appreciate any feedback, suggestions or problems you find. My eyes are glazed over!